Nutritional Services – The Dolce Way! The New You Challenge – All about the results! The Atlanta CrossFit Owner’s Alliance! You must perform 1 C&J every 2 minutes and go up in weight each round. You will have one station and must change your own weights between each lift. Share the 2.5 and 5 lb plates as you can. Power Clean and front squat will yield A Scale. If you fail, it’s OK to stay at the same weight for the nexs lift. Make an appointment for your free "No Sweat Intro" or Functional Movement Screening with CrossFit Dynamo! It's free, informative, and can put you on the right path for you for your health and fitness goals! 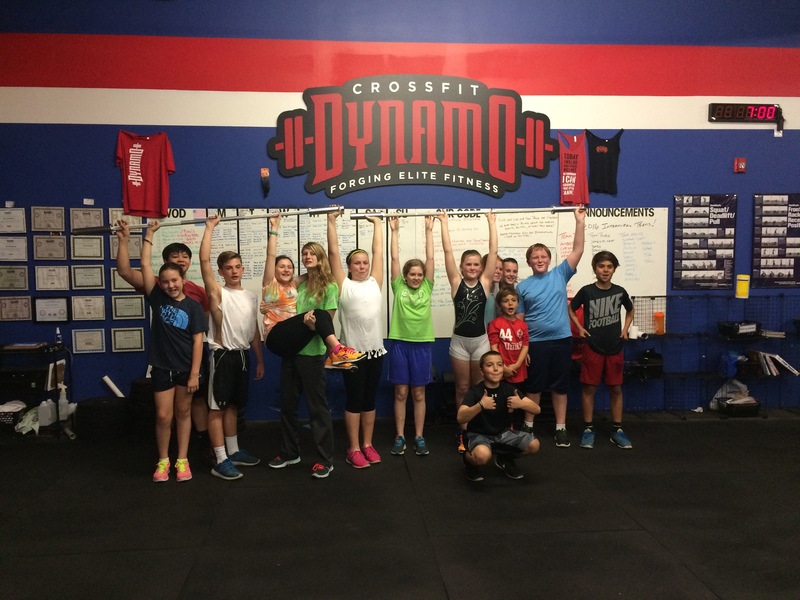 Now Enrolling: CrossFit Kids/Teens Summer Session next semester's classes are starting September 14th(Kids)/ 7th (Teens) and run into December! Classes meet on Mondays, Wednesdays for Dynamo Kids (4:40pm) and Dynamo Teens on Mondays and Wednesdays (7:30pm) and Fridays (6:30pm). Members and non-members kids ages 5 to 18yrs old are welcome. Please register early as we expect our classes to fill up! We have great DayCare! available at the 9:30a class M-F! Come bring your little ones for an hour of fun playtime while you keep fit and relieve the stresses of the day! We've moved to a CrossFit Foundations class rather than the month long preparatory class. The class is a full-on 3 hour introductory class to all of our major movements along with chalk talk to understand why CrossFit done right is the most potent fitness regimen the world has ever seen! Contact Coach at 678-642-8046 to get yourself scheduled for a great way to learn CrossFit in a non-intimidating fashion! Unit 1700, 6020 Parkway North Dr.